Your nose: It’s the center of your face and is a prominent feature, often falling at the top of your plastic surgery ‘want’ list. Rhinoplasty, or more commonly known as nose reshaping, was the number two most popular plastic surgery procedure in recent years. This common procedure can be a solution for medical issues such as impaired breathing or for more aesthetic reasons, adding proportion to your nose. With rhinoplasty, there are actually two courses of action a patient can take: surgical or non-surgical. We’ll cover what a non-surgical rhinoplasty entails, what to expect from your procedure and when you should choose this form of treatment. A non-surgical rhinoplasty is performed by adding filler into the nasal bridge, tip of the nose or the area between your eyebrows directly above the nose. This form of nose reshaping is most effective when there is a small bump protruding from the nose, the nose is too short or projects too far from the face. 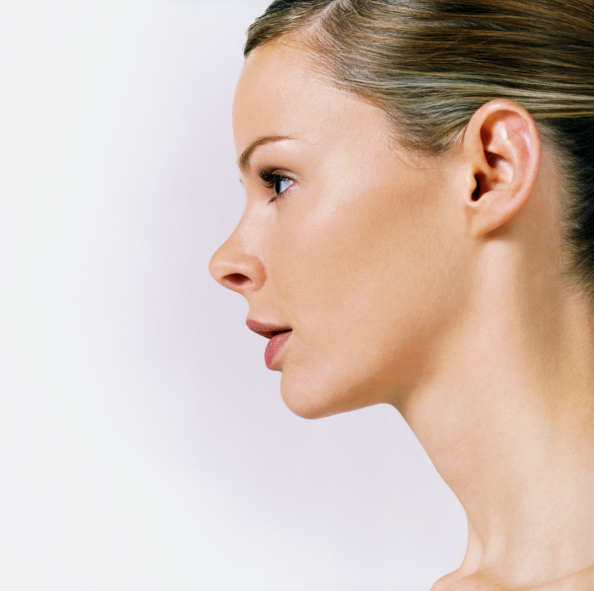 Two kinds of fillers may be used for a non-surgical rhinoplasty. The first is Radiesse, with results that can last for over one year. The second filler, Artefill, has results that can last anywhere from three to five years. Along with long-lasting results, the Bellafill filler continues to improve over time by creating new collagen. With non-surgical rhinoplasty, only a small amount of local anesthetic is injected into the site before the filler is applied, eliminating the need for general anesthesia. Patients will experience no downtime. Slight swelling will occur at the affected area, but will reduce quickly. Your doctor can help you determine whether a surgical or non-surgical rhinoplasty is the best course of action. Give our team a call today to see if a non-surgical rhinoplasty is the solution for you!